In the ongoing search engine wars between Google, Yahoo, and Bing, each of these services has to occasionally up their game. Maybe do a fresh makeover, or throw in some new features. Well, Bing has recently done that with its free Bing for the iPad. In this new version, Bing introduces typeless searching, with the goal of reducing the amount of tapping, and copying and pasting that users of the iPad have to do to perform searches in a web browser like Mobile Safari. 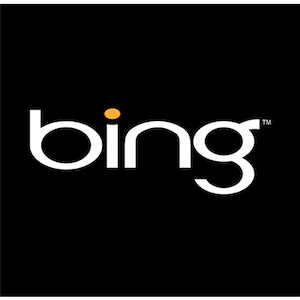 Does Bing accomplish its goal? The most significant new feature of the 1.1 update of Bing is the ability for users to do typeless searches. When you come across a term, name, or phrase in Bing‘s web browser, you tap the search tool in the menu bar, and instead of copying and pasting the word, you draw a circle over the search term and release. From there, Bing will do the search for you. In my test of about five different searches, I found that you don’t have to circle in the entire word in order to initiate the process. However, if say your search involves two or more words, drawing the circle is not that easy. And when you’re in search mode there’s no canceling the process and starting over. Bing will search whatever word gets captured in your circle. So basically the new feature is not all that nifty. In many cases I found that simply pressing my finger on a term and selecting it, and then dragging the blue handles to select one or more words near it, is much easier than the circle method. Bing also has voice search which is also probably faster than the new method. But try it for yourself and tell us what you think. A search engine like Google, which allude to in the paragraph. Sorry for not being more clear.